Because of the custom nature of our products, we cannot accept returns. Personalized items are NON-REFUNDABLE. Please make your color/fabric selections carefully as once items have been monogrammed or personalized, they are non-returnable/re-fundable. Kindly make certain to provide full names in the order of First, Middle Last where requested on the order form. We cannot be responsible for monograms that are placed out of correct order if the full name is not given as requested when ordering. 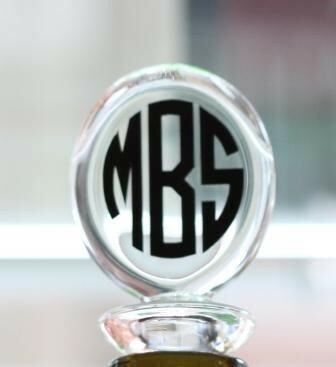 If the full name is not provided in the personalization info box and only initials are given they will be entered exactly as given so please make certain to enter them in the order that they should appear (FIRST, LAST, MIDDLE) for initials ONLY - not full names. If names are given incorrectly as First, Middle, Last your order could arrive incorrectly. Embroidered names (name only) will appear exactly as typed. All pricing listed on www.thepinkgiraffe.net is in US Dollars. Our items are custom in nature and we want you to be pleased with your purchase. Computer monitors can display colors differently so we are happy to provide fabric or ribbon swatches when requested. We cannot accept returns on customized items because the color did not appear on the website as in person. If you would like a swatch of the fabric you are considering, please send an email to [email protected] with your request. One swatch per person at no charge. Additonal swatches available for purchase and can be credited back to you at the time of order. Please be advised that watches purchased on our site come with a 90 day warranty. We cannot replace personalized watches that have been damaged due to water exposure as they are not water resistant as is indicated on the order form. Our monogrammed shoes are custom made at the time of order. Please be advised that we cannot accept returns because the fit is not correct. We encourage our customers to contact customer service at [email protected] to order a sample (additional charges apply) be sent to you to ensure proper fit as refunds/exchanges WILL NOT be issued because of an incorrect fit. Monograms can vary by letter from font to font. 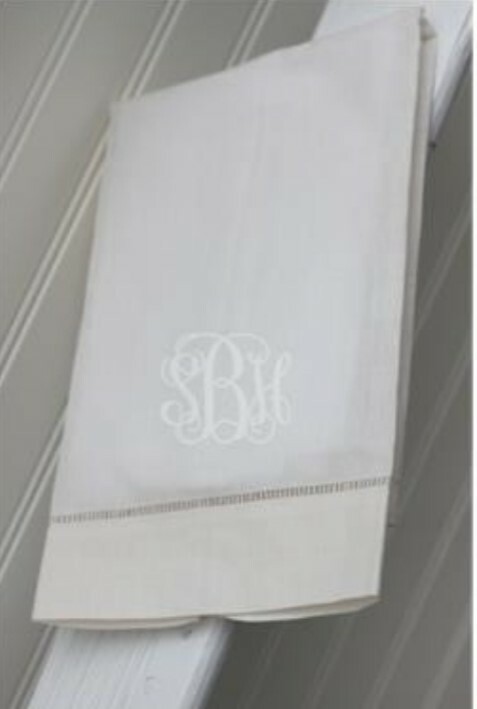 If you are unsure about how your monogram will appear and would like to see a sample, we are happy to provide one for you after the item has been purchased. After you have completed your order, send an email to [email protected] with your order number and font request. We can provide proof of one font at no additional charge. A charge will be added for additional font requests. Please note that we cannot accept returns on our products because a customer is not pleased with a letter or monogram choice. Please note that once an order is placed, it cannot be changed or canceled due to the custom nature of our products. In the event that an item is not monogrammed and needs to be returned, the amount of the item will be credited back in store credit only. If a personalized item needs to be replaced for any reason, it will only be replaced with an EXACT REPLICA of the original order placed. All colors/fonts and details will be on the replacement exactly as the order was placed on our website. Please do not ask us to make changes to a replacement item as this policy is in keeping with our vendors across the board. In order to keep your shipping costs to a minimum insurance is not provided with your basic shipping charges. Please note that if you would like to add insurance to your shipment, please call 615-297-2604 to add this service to your order before your order has been shipped. Please be advised that we cannot replace an item that is confirmed as delivered unless the insurance has been purchased. Please note that is is the sole responsibility of the consumer to read the ship times for each individual item. By processing your order at checkout, you are agreeing to accept ship times for each item. Please note that it is not the responsibility of The Pink Giraffe to expedite any order because ship times were not read correctly. Whenever possible, we are happy to assist, but it cannot be guaranteed as numerous products or website have ship times beyond our control. Ship times can vary between 7-14 business days from order date. If there is a problem with your order and we have not heard back from you via email or phone upon trying to reach you, there will be NO refund given after 45 days, In store credit will be issued after that time.